The best bang for buck Android handset in the high-end segment. Android Kitkat out of the box; Impressively sharp screen; Excellent for gaming; Well priced. Battery life could have been better; Average camera. 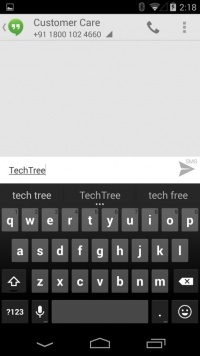 - Those looking for bloatware free Android experience. - If you're into gaming. - Those looking for a bang for the buck. - If long battery life is your priority..
One of the most anticipated Android device is finally here. LG has done a great job at bringing the device to India sooner than expected. The pricing of the device is aggressive too. Little wonder then, the phone is selling like hot cakes in India. Many shopkeepers have told us that the demand is so high that many units have been back ordered. 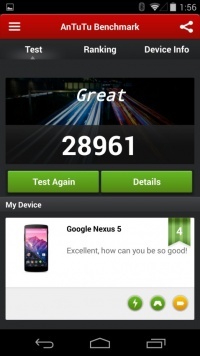 So is the Nexus 5 really that good? Lets find out. 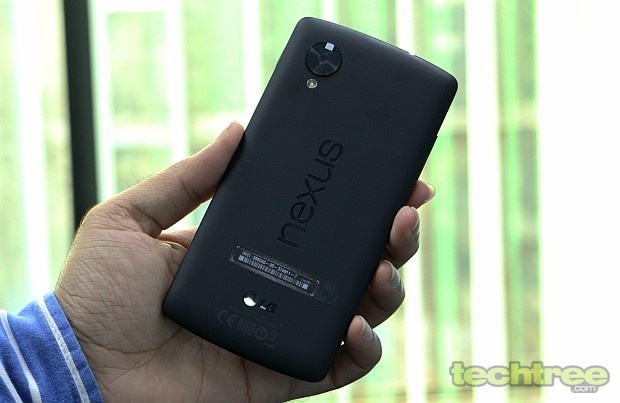 The Google Nexus 5 is slightly bigger, but thinner and 9 grams lighter than the Nexus 4. At 130 grams, it's quite light for a phone of this size. For that, LG has strictly gone with plastic. It's construction is solid though. Thanks to the matte finish, the phone feels good to hold and is also resistant to fingerprints and smudges. In terms of looks, the Nexus 5's top bezel has been inspired by LG's own flagship G2. The design is clean and simple; mostly focused on delivering a 5" screen with a minimum bezel and footprint. While there's nothing wrong with such design approach, many will find it very generic. Strangely, after opting for minimalism at the front, LG has gone with an in-your-face Nexus branding at the back. The horizontally etched text remind me of a soap. 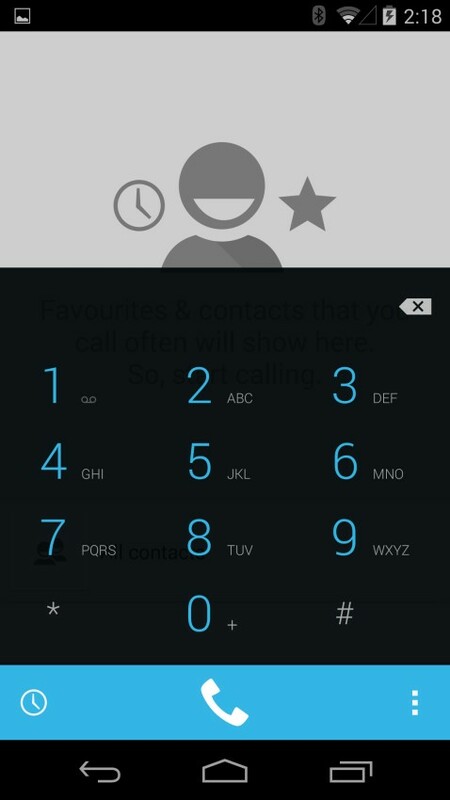 I understand that Nexus brand has a flaunt value, but the typography here is just too big for a phone. That said, it’s better than shatter-prone glass on the Nexus 4’s back. 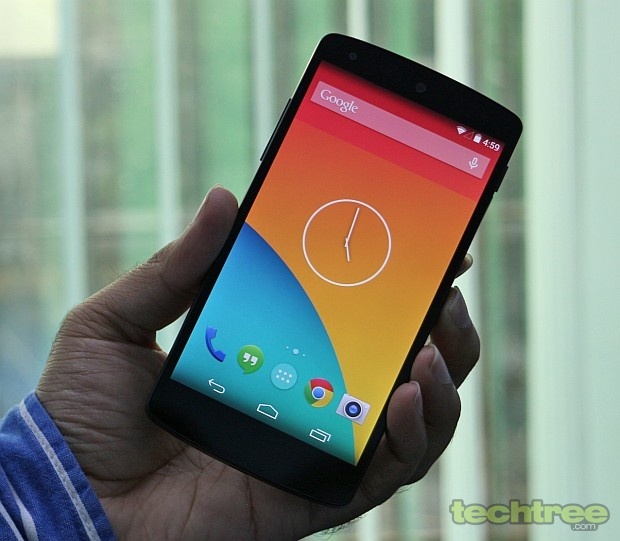 And, I must admit that the Nexus 5 is one of the better looking Android phones available in the market. Although the phone doesn't feature a unibody design, its back-panel is non-user replaceable. The phone also lacks a microSD card slot. 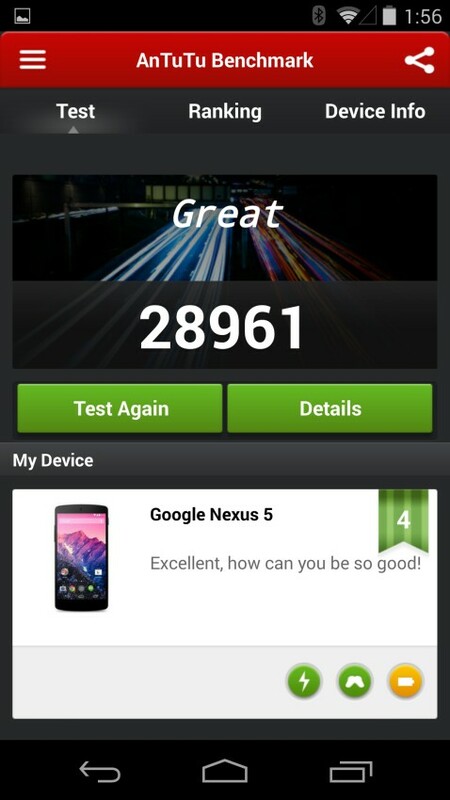 The Nexus 5 is powered by a quad-core Snapdragon 800 chipset clocked at 2.3 GHz. Gaming has been taken care of by an Adreno 330 GPU, aided by 2 GB of RAM. Much like its predecessor, the Nexus 5 has an 8 megapixel camera sensor. However, there are some improvements for better low-light photography. The Nexus 5 sports a 5-inch (4.95" to be precise) full-HD screen. It features a protective layer of Corning's Gorilla Glass 3. The IPS panel is impressively sharp and produces vibrant colours. The contrast and viewing angles are good too. However, the screen isn't bright enough when compared to competitors. So while the display looks fantastic during night, its legibility drops drastically in direct sunlight. Furthermore, the screen is very reflective. On the software front, you get the spanking new Android 4.4. In its latest iteration, Android has got some improvements under the hood such as printer support and low-memory footprint. For normal users, there are a few UI refinements too. For starters, the black bars around the onscreen navigation keys and notification area have been replaced by a neat transparency effect. 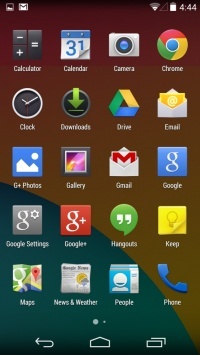 The icons look slightly bigger than what you get on most Android phones. 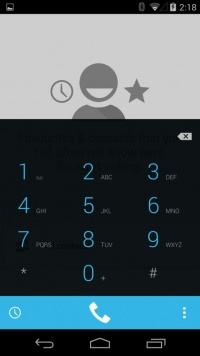 The basic operations remain the same, so if you’ve used an Android phone before, you’ll feel at home straight away. 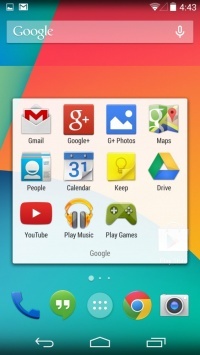 Pressing the Home button for a couple of seconds enables Google Now. 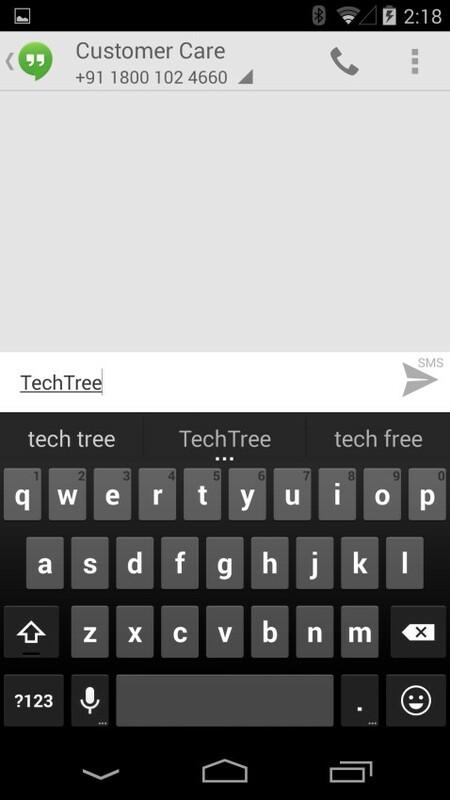 If you’re too lazy to type in your query, you can use its voice search feature. This phone is great if you're fan of each and every service the search giant has to offer. However, at times, you tend to get overwhelmed by Google services. 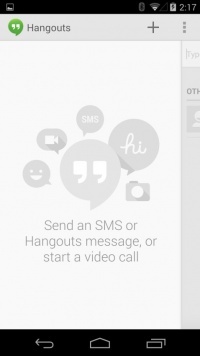 The phone tries too hard to get you in Google Plus. 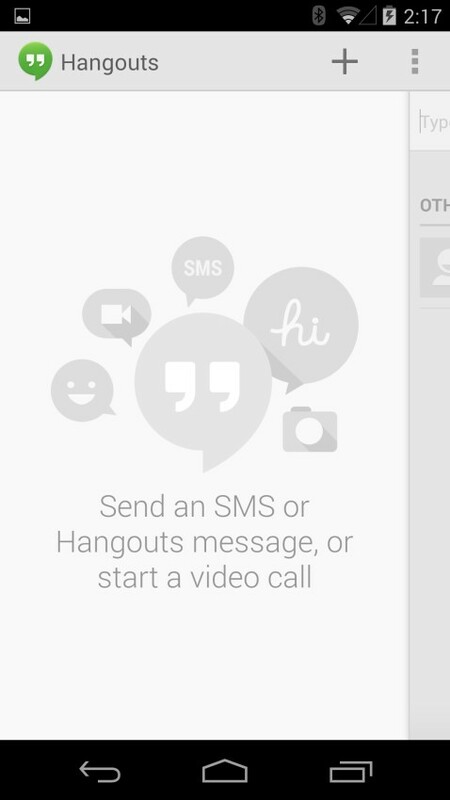 What's more, just to send a simple SMS, you have to make your way through Google Hangouts. 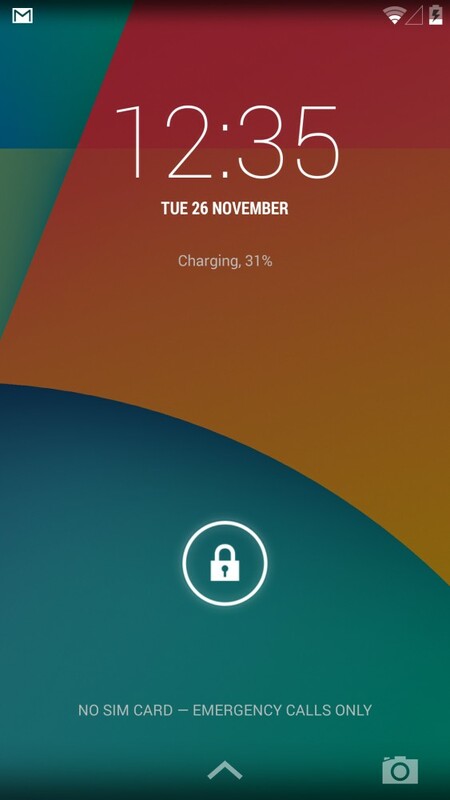 Much like Android 4.2 (Jelly Bean), Kitkat brings up the quick setting menu with a two finger swipe from the top. Since the phone is powered by Snapdragon 800 chipset and has 2 GB of RAM, the user-experience is very smooth. To find out whether it's because of the powerful processor, or software optimisation, we'll have to see a few mid-range Kitkat phones. The Nexus 5's sound quality is very good. The music player offers plenty of equalisers and audio settings to play around with. In terms of video playback, the phone doesn't support many codecs. It also lacks subtitles support. However, it's not an issue since you can easily get a good third-party player such as MXPlayer. With a 2.3 GHz quad-core processor, 2 GB of RAM, and Adreno 330 GPU inside, the Nexus 5 does a great job when it comes to gaming. From casual, to 3D first-person-shooters, the phone runs all Android games with an ease. It's simply the most powerful hardware you can get at a sub-30k price tag. 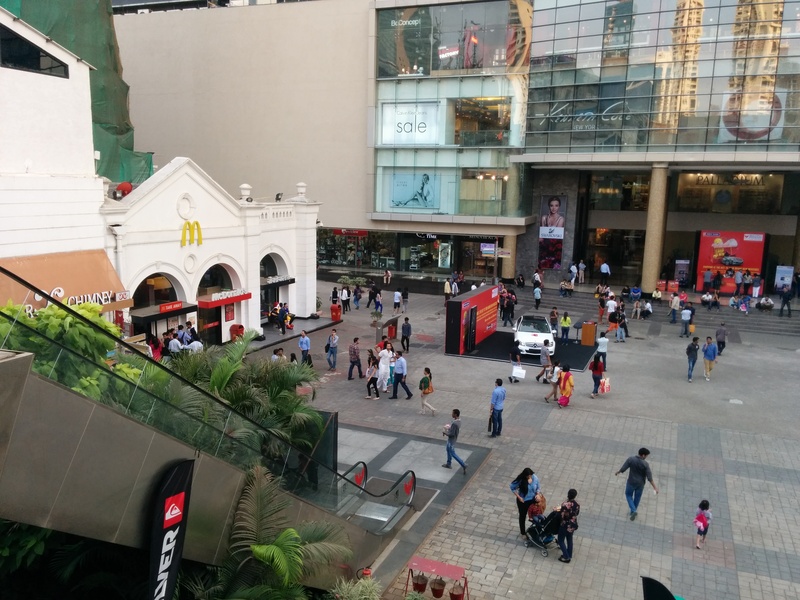 To put things in perspective, the LG G2 that comes with a same chipset set you back for Rs 38,000. For those interested in numbers, the Nexus 5 scores 28,961 in AnTuTu and 9471 in Quadrant. Coming to the subject of connectivity, the phone offers solid network reception. The voice-quality too was loud and clear during the calls. Wi-Fi, Bluetooth worked as it should. So basically, there were no nasty surprises in terms of connectivity. Unlike most high-end phones, the Nexus 5 camera interface is basic. Since there's no dedicated shutter button, the phone offers touch-to-focus option. Long press anywhere on the viewfinder to find out more settings including megapixel count, flash toggle, and exposure. 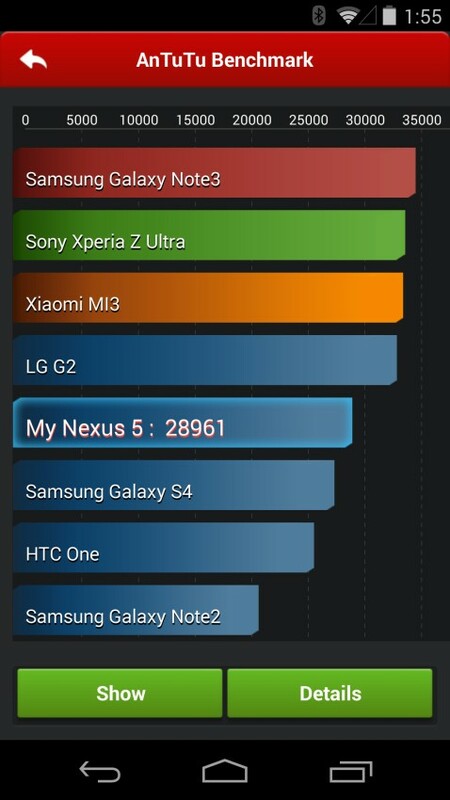 Coming to the subject of image quality, the Nexus 5 is average compared to the similarly priced phones. At the same time, I must admit that it's a definitely way better than Nexus 4's disappointing camera. The resolved details and noise levels aren't the biggest problem here. It's the white balance that drops the ball. Dues to this, the whites tend to look yellowish in the resulting images. Click here, to view the untouched photograph. With OIS (Optical Image Stabilisation) in tow, LG claims to offer "superior low-light imaging" performance. However, in reality there's nothing to write home about. The Nexus 5 captures video in full-HD MP4 format. The framerate remains at around 30 fps, so the playback is mostly smooth. A nice feature worth mentioning here is the time-lapse that does what it says. You can set the interval time starting from a second to over 20 hours. One niggling thing here is that despite having a two microphones, the phone only records mono sound during video recording. The Nexus 5 packs in a 2300 mAh non-user replaceable battery. With normal usage, it lasts for a day on a full-charge. In our 720p video loop test, it clocked in 6 hours, which is just about average considering the phones price tag. For around Rs 30,000, the Nexus 5 is the most powerful smartphone from a top-tier brand. 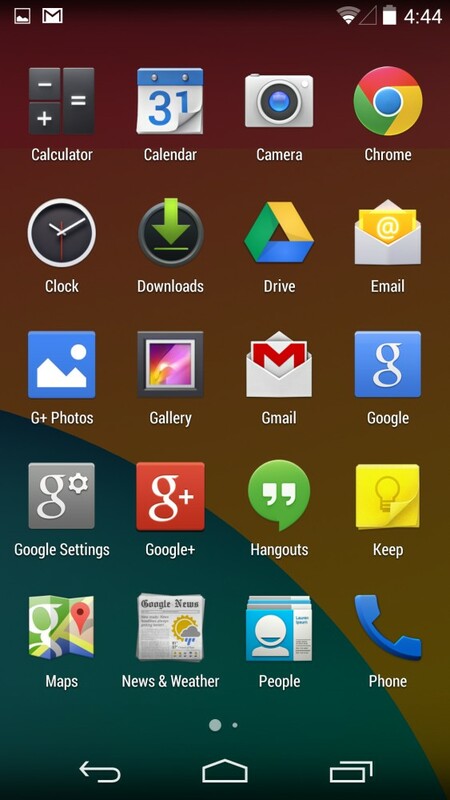 Plus, it offers that “pure” Android 4.4 (Kitkat) experience. Maybe its design is too safe, but the construction is undoubtedly great. On the other hand, the phone has a few shortcoming such as an average camera and battery. Sunlight legibility is another niggling issue. Still, considering that its 16 GB version costs under 30k, the Nexus 5 is a great deal. However, those who can shell out a few grand more, are better off with a 32 GB variant. If you're looking for a better looking phone with an excellent camera, go for the Lumia 925. 4.95" IPS screen with 1920x1080 pixels. 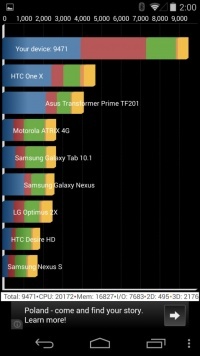 Snapdragon 800 chipset clocked at 2.3 GHz. Adreno 330 GPU, 2 GB RAM. 8 MP camera with Optical Image Stabilization. Wi-Fi, NFC (Android Beam), Bluetooth 4.0, A-GPS. 16/32 GB internal storage, Lacks microSD card slot. 2,300 mAh, built-in wireless (induction) charging. Talk time up to 17 hours, Standby time up to 300 hours. Internet time up to 8.5 hours on Wi-Fi, up to 7 hours.